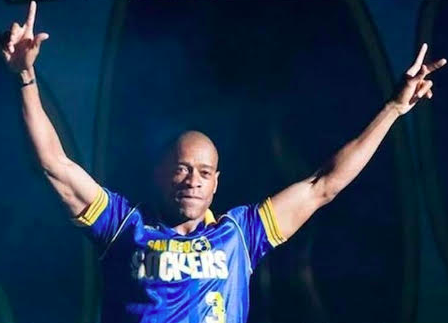 SAN DIEGO (3-30-2019) – Former Grossmont High standout PAUL WRIGHT, who went on to spend a 25-year career playing professional soccer, will have his uniform number retired by the San Diego Sockers. Wright’s No. 3 will be raised to the rafters of Pechanga San Diego Arena on Sunday, April 7, when the Sockers host the Rio Grande Valley Barracudas. Kickoff is at 5:05 p.m. The selection was based on balloting of Sockers fans, with Wright beating out such legendary names as Fernando Clavijo, Victor Nogueira, Branko Segota and Steve Zungul. Wright becomes the 8th member of the Sockers to have his name/number retired. The others include (in chronological order) Juli Veee (22), Kaz Deyna (10), Jean Willrich (15), Kevin Crow (12), head coach Ron Newman, Kevin Quinn (14) and Zoltan Toth (1). The native of London, who moved to the La Mesa area when he was a 12-year old, was selected based on a vote of fans, alumni, media and current players — each segment was worth 24 percent of the final vote. 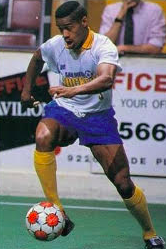 Wright scored 435 goals and recorded 421 assists in his 603-game indoor career with the Sockers, along with the Cleveland Crunch, Milwaukee Wave, Baltimore Spirit, Wichita Wings, Sacramento Knights, Baltimore Blast, Anaheim Bolts, and outdoors in the MLS with Kansas City. He also played for the Sockers when the franchise set the record the longest winning streak in United States professional soccer history at 48 straight. He began playing during the 1988 season and last took the pitch during the 2012 campaign, scoring a goal in his final contest when the Sockers captured their 14th indoor championship. The banner raising ceremony will be held in conjunction with the annual alumni halftime game. Tickets for the game are available by calling 866-799-GOAL. San Diego is in first place in the Pacific Division, owning the best record in the Major Arena Soccer League at 19-1, clincing home-field advantage through the playoffs.